Take a (super) close look at your smartphone and you may be surprised by what you see. Learn about screen technology and human visual perception by investigating color images up close. Even the fanciest smartphone screen has only three colors. Set your device to display a white screen. If you don't know how to do this, you can use this image by opening the link in your web browser, downloading it, or taking a picture. Be sure that the image is bright and appears solid white. Note: To ensure your phone doesn’t “go to sleep” during this activity, you may have to regularly tap your screen or adjust your setting. Make sure your mobile device is turned on and displaying white. Place the device on the microscope stage. Focus and carefully increase the power of your microscope until you see the lit red, green and blue lights. Where’s the white? Now change the image on your screen so it shows another color. Look through the microscope to see what has changed. Try looking at a photograph or an image showing a mix of colors. How do the colors you see on the screen with your naked eye correlate to what you see under the microscope? Finally, try watching a video at the pixel scale. See how the colors change as the scenes in the video change. Humans only have three types of color receptors on our retinas. Each responds to wavelengths in a certain part of the spectrum, roughly corresponding to red, green, and blue light. 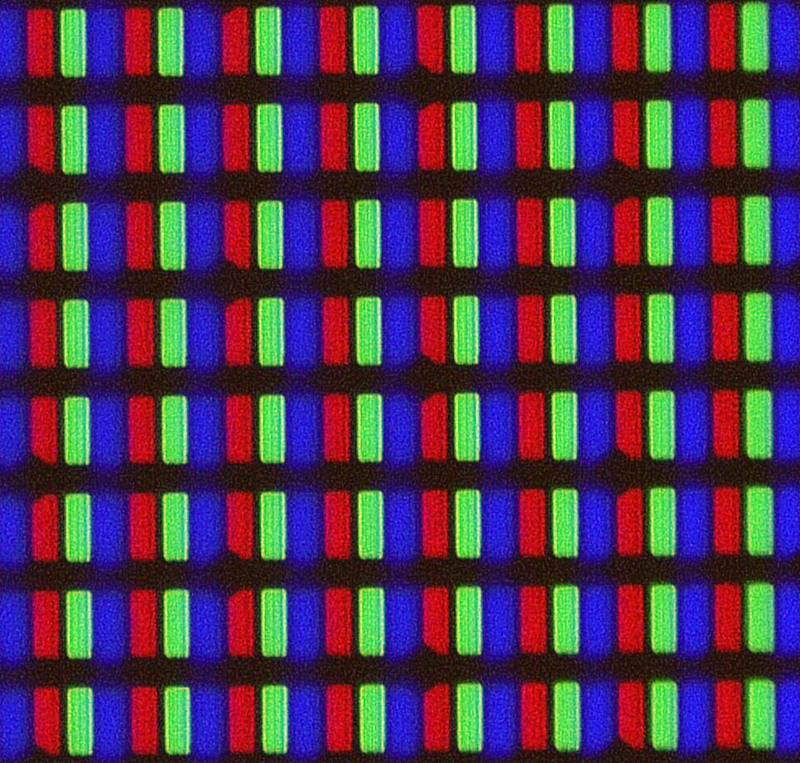 Computer and smartphone screens use red, green and blue subpixels (lights) set to varying intensities to create all the color combinations that we see. Our eyes have limited visual resolution, so we can only make out details to a certain degree. Pixels are the smallest visible color unit on a display screen. These colored pixels are comprised of associated red, green, and blue subpixels. On modern mobile device display screens, pixels and subpixels are small and packed tightly together. Because of your eye’s inability to differentiate individual pixels and subpixels, the screen's light that shines onto your retina gets blended into an illusion of a single, clear picture. Moving images take advantage of another limitation of your visual perception. The human eye can’t distinguish individual images displayed in rapid succession, so screen manufacturers and old movie projectors take advantage of this in different ways to produce the illusion of continuous motion. By looking through the microscope, you can see all three illusions in action. 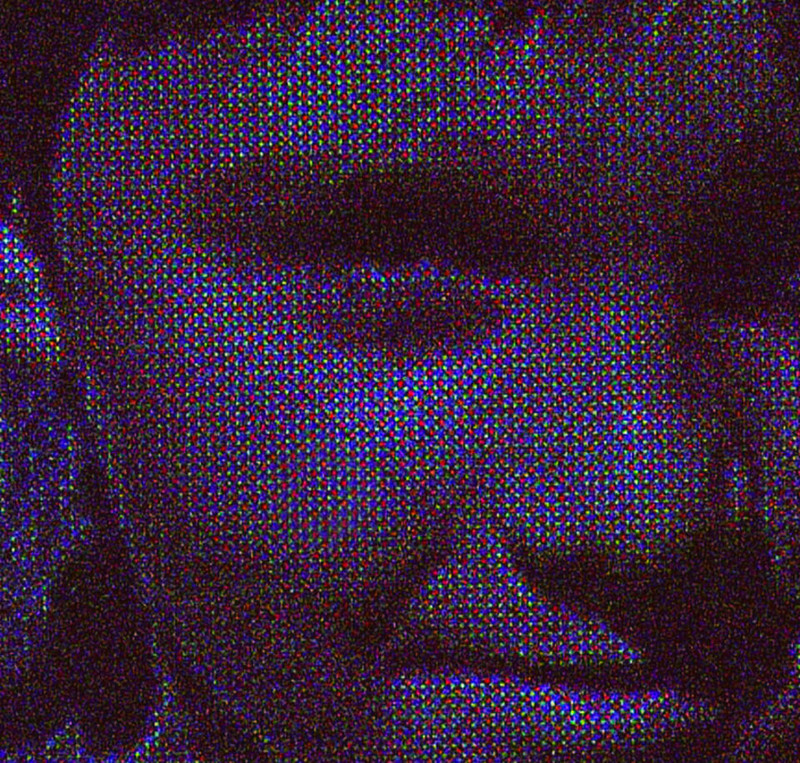 Three colored subpixels make all the colors, images and moving pictures you see on your display screen. To extend this activity, try looking at a variety of brands and models of smart/mobile devices. Are there any differences between the technologies of various models, like the shape, size, and spacing of the pixels and subpixels? How does a device with a very sharp image compare with one that is not as clear? 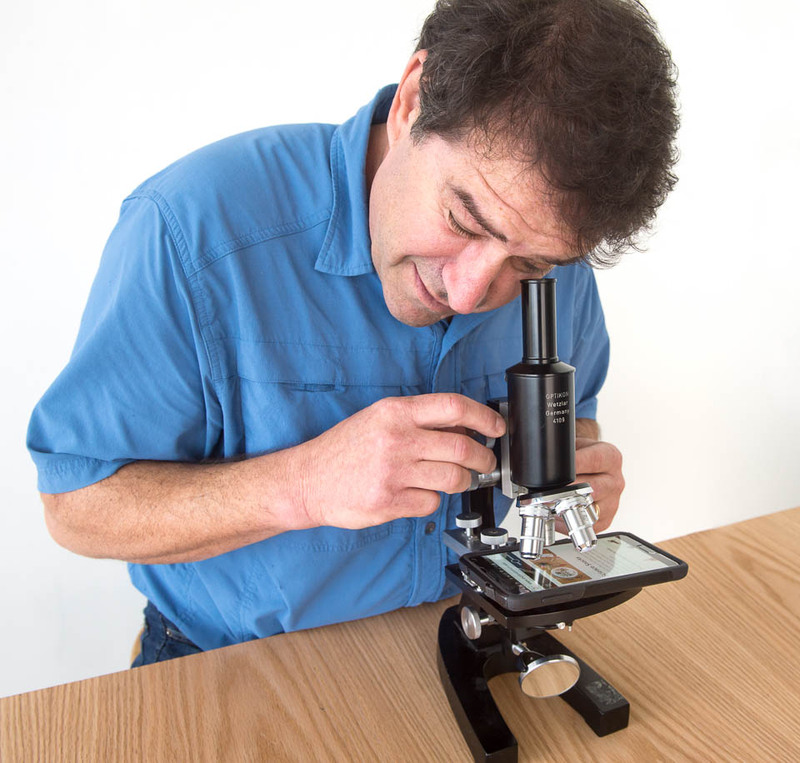 Can you determine the relative ages of two devices just by observing the microscope images? Test how well your brain can see patterns. There’s more to seeing than meets the eye.